I have done with exposition. In chapters 13 and 14, I have tried to clarify Lawrence’s view of the meaning of human life as embodied in the book most widely agreed to be his best novel; what I wish to do in this chapter and the next is to examine, in reverse order, the adequacy of that view and the competence of his form to express it cogently. One of the recurrent arguments of the present book concerns the capacity of the fictional form to discipline fantasy — the fantasy of everyone (including the author) as projected in the characters or personas, and the fantasy of the author, which fiction-making of its very nature permanently tempts away from the recalcitrant world men inhabit. Lawrence’s form in this novel seems to me to suffer from a disabling lack of such discipline. 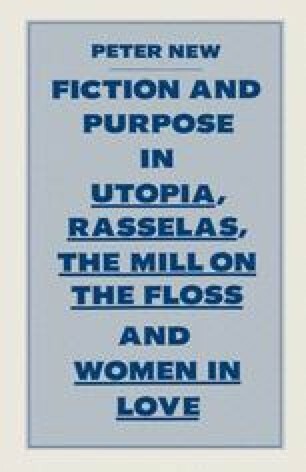 I will consider the book first as a version of utopia.